I have been working with Commerce since it's initial release. I have sent out a number of commerce sites out into the wild. Commerce core works like a hot damn, but the problem is in contrib. There are tons of half-baked concepts/modules and hacky workarounds to address the issues below. It seems that because almost everything can be solved using rules/views in Commerce, so is no attention given to actually making a solid universal approach to any of these issues. There needs to be some serious attention paid to these if Commerce is going to make it. I don't suppose you've had a chance to review the 3.x branch of Commerce Reports since the Google Summer of Code ended? Christophe put quite a bit of work into it, and I'm sure he'd appreciate your feedback. I recently put it on my cheese site and will be pitching in where I can. Thanks Ryan, I will check out the 3.x version of Reports. I know you and your team (and the rest of the community) have been putting a tremendous amount of wok into commerce. I think it's time to start tying some nice bows around commerce contrib. A good example of what I mean is in Invoices/Receipts. There are literally 5 or 6 half-baked solutions to this. All taking their own approach, addressing only a portion of the problem with little or no collaboration between them. The community has always looked to you Ryan for direction in Ubercart/Commerce and I think we need you again on the gaping holes in contrib. I could not agree more. I have spent more time fiddling with invoice display, emailing and printing than I have on the entire commerce core, contribs and setup combined. If I had any idea that this important step was virtually left in the cold on Commerce I would have certainly looked elsewhere for my shopping cart solutions. I had such a good experience with Ubercart that I held the impression Commerce would have been much more complete. I am still searching for a nice invoicing solution. A nudge in the right direction would be helpful. I too am looking for a good invoicing solution and have tried Drupal Commerce with the Commerce Invoices module which I thought was the best of the 'half-baked' solutions mentioned, lol. But the module does not produce invoices that can then be seen and paid by clients after the client logs in. I wanted to ask garyg if Ubercart does create invoices that clients can login and see and pay online. Nope, and in fact, that's a bit of disconnect between the language used in eCommerce and in the real world. I'm with you - an invoice is something I draft and send to a client to pay. It seems in eCommerce, or at least in the Drupal community, an invoice is more of a receipt for a completed order. 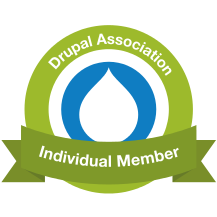 However, because of the way Drupal Commerce works, you actually can create an order as an administrator, assign it to a user, and send it to them as their invoice. They can then access the checkout URL for that order to pay the invoice. In this sense, Commerce does enable actual invoicing. In this scenario, you just wouldn't use the Cart module. ¿Did you have in mind to explain how to use the new features of kickstart in a old drupal 7 web? Yep, we'll be documenting it and developing a training curriculum around it. Fortunately, most of the modules are existing contrib modules, and those that are just a part of Kickstart 2 itself will now begin to be released as separate projects when possible.